EPOS stands for electronic point of sale, and it refers to a system that can handle orders and customers much more efficiently than the standard till. Indeed, an EPOS system is able to do everything a typical till can do, plus a lot more besides. EPOS system prices have gone down lot in recent year with the emergence of cloud based systems like Lightspeed and EPOSNow so it pays to research the market carefully. If you are considering introducing an EPOS system into your business, it’s worth thinking about everything that is entailed before you go ahead. Lots of different companies provide these systems and no two will be exactly the same. This is because the system is capable of being designed to fit the exact needs of a specific business. When you choose a simple till, there are lots of different ones, from the simplest to the most complex. Choosing an EPOS system is similar to this, yet a lot more complex in nature. This is not something to be rushed into. As such, prices can vary enormously depending on what you require. Let’s look into this area in a little more detail so you can see what it entails. Price will depend on what you require when you first get started. A simple system with just one cash register will obviously be cheaper than a more complex one that uses several registers to make sales. You also have to decide whether your business would be better off with touch screen terminals or whether you would need handheld devices you can take payment with. All these decisions will eventually affect the price you pay. The system itself is comprised of both hardware and software items. The more items you need, the more you will pay, as you’d expect. You can buy an EPOS cash register at the simplest end of the market, or you can opt to buy a complete system which includes additional software to make use of. Hardware items vary depending on the nature of your business and the services you need to provide. For example you can get weighing scales and printers if you regularly send items out that people have bought online. By contrast you can also arrange to have chip and pin machines for people who are paying in a bricks and mortar store. As far as software is concerned, there are many options to choose from here as well. Many companies have created software that is designed for various reasons and uses. It’s up to you to find the most appropriate software for your individual situation and business. Even if it works for one person it may not work for someone else. 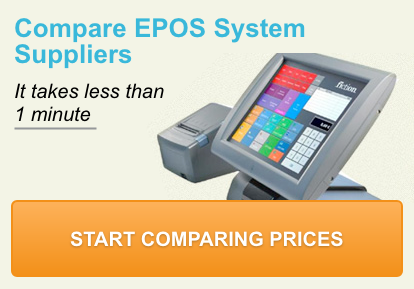 Be sure any software you buy is compatible with the EPOS hardware you have currently, or are looking to buy. This is another topic worth thinking about. Both options are available and while purchasing your system will be more expensive upfront, it could be cheaper in the long run. As you can see, when you are looking for the most cost effective solution, it might take some time to find it. However this is definitely time well spent. A single EPOS terminal can cost anything from just shy of £1,000 to several thousand pounds, and this doesn’t include any software. So make sure you consider your business needs and then do some research to find the best solution. The abilities an EPOS system can give you to truly understand how your business works are almost incalculable. Yes it will cost you money to invest in a system and learn how to use it. However, once it is installed and up and running, it will be able to provide you with far more information than you previously had. This alone means you can make your business more efficient and profitable. Just as a good accountant will usually be able to save you more money than you would need to pay them, so a good EPOS system – carefully chosen – should make your business more money than the cost of the system itself. Bear this in mind and remember you don’t have to have all the bells and whistles. Your business may benefit from a simpler EPOS system at a lower cost. Why not look into it today and see?